University Archivist Yvonne Deligato pulled yearbooks, hats, apparel and photographs from the University Archives to give the set an authentic 1940s look. 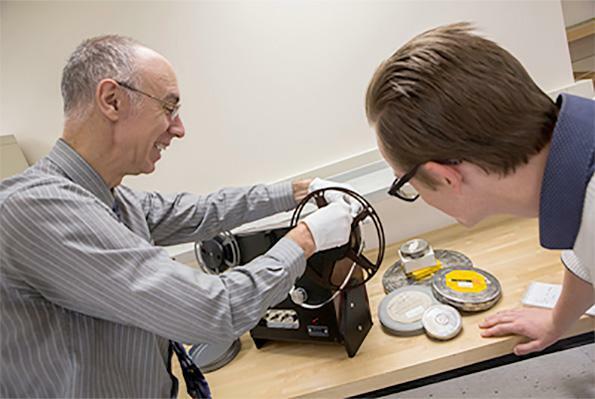 The TV plays clips of never-before-seen film from the University vault, converted to digital by James Pitarresi, assistant provost and executive director of the Center for Learning and Teaching, and distinguished teaching professor of mechanical engineering. The TV, which sits center on the set, is actually from 1948. 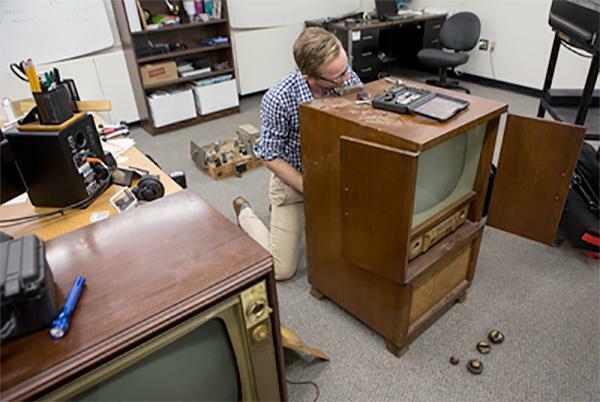 University Video Producer Andrew Hatling bought the piece off Craigslist and purchased set props from local antique stores. 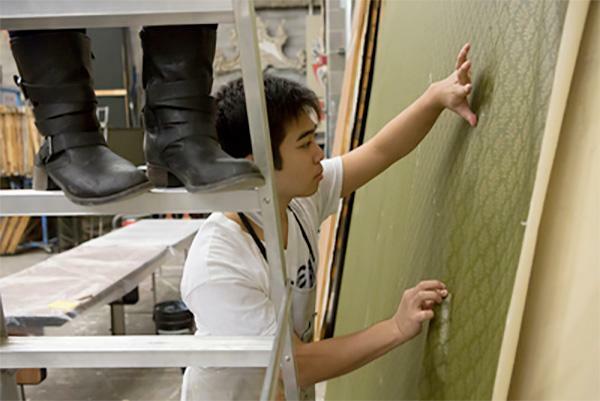 Thanks to the Theatre Department, the 10-by-12 foot background wall was constructed and decorated with period wallpaper. Looks pretty 1940s, right? And when that wall falls? That’s real, too. That wall falling down isn’t a visual effect. Three crew members were on either side of the structure and had to let it drop at the exact same time. There were some visual effects, though. The TV had been gutted and modified to hold a modern LCD screen, which was later digitally replaced. Oh, and that beautiful sunset? Also, digitally replaced! The commercial had two filming locations, first in the Anderson Center's Chamber Hall and then on the DeFleur Walkway. 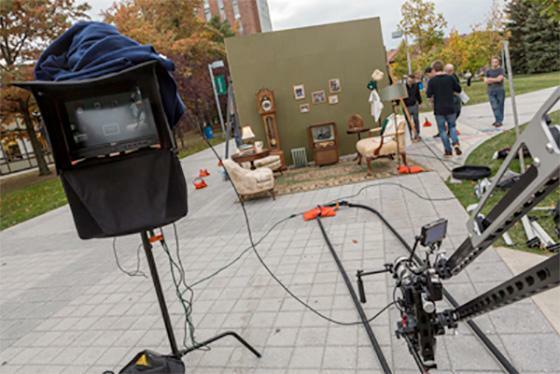 The crew had to transport the set and reconstruct it on the University Spine. 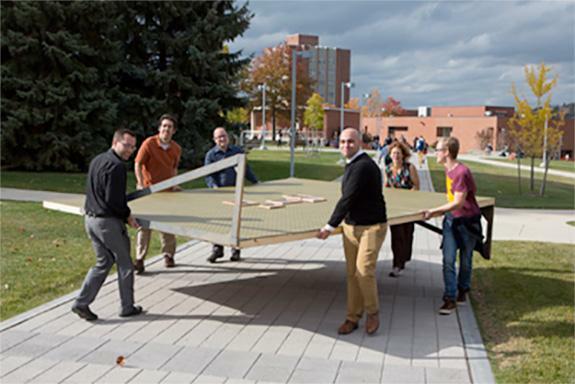 Shout out to the Communications and Marketing web team for their help moving the huge wall! See if you recognize any of the extras. The students in the background are actual Bearcats! Over 100 extras and 24 takes later, we had our last scene! 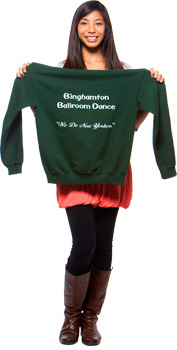 GRAB YOUR POPCORN AND CHECK OUT THE WORLD DEBUT OF BINGHAMTON - THIS IS PREMIER! 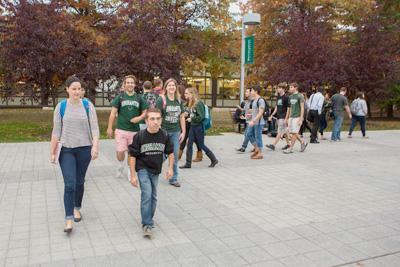 Want to watch more exciting videos from Binghamton University? Subscribe to our YouTube channel!